It’s the time of year when kids go back to school and many parents’ weeks quickly become filled with car rides, extracurricular activities and PTA meetings. We know it’s a frantic and exciting first few months, but make sure your pets aren’t left out of all the fun! 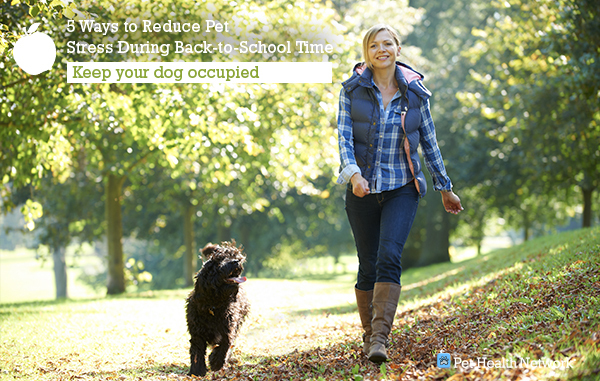 When it’s time for kids to go back to school, dogs may have a harder time adjusting than anyone else. Think about it; after receiving extra attention and social interaction for months, what kind of dog would want to give it all up? Since dogs who aren’t socially stimulated may turn to bad behaviors, we recommend looking into a doggy daycare program or setting up play dates for your pooch. Of course, always inspect a new facility before you leave your dog there alone. When cats are left alone during the day, there is very little to occupy their highly active minds. It may mean that your cat entertains herself by shredding the curtains, or it may mean that she lays around feeling bored. Either way, the situation is anything but ideal. Fortunately, there are ways to interact with your cat even when nobody can be home with her. Petcube is a prime example of exciting new pet technology. With this device you can talk with your cat and even play with her from the office. 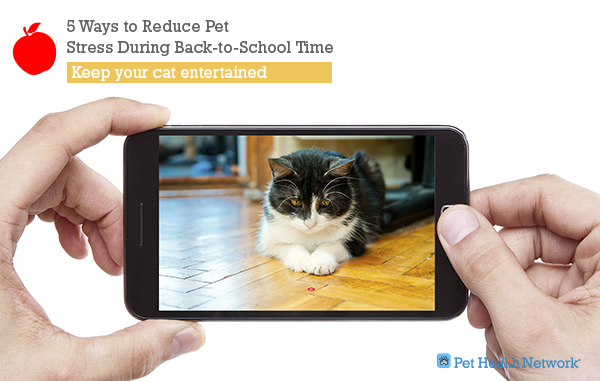 Ask your veterinarian about more ways to keep your cat entertained. A bored dog is often a destructive dog. 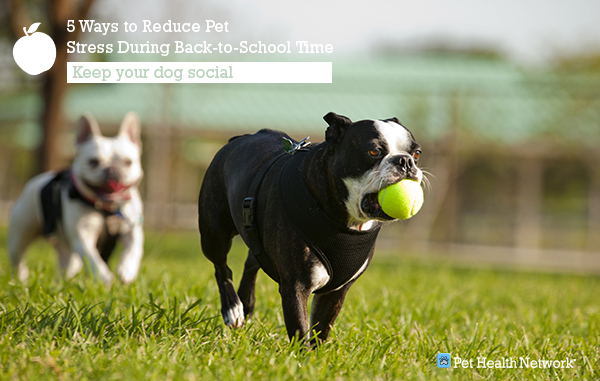 Don’t let your dog get frustrated now that the kids are out of the house. Hire an experienced and caring pet sitter to come by during the day. For tips on choosing a trustworthy sitter, follow this link. 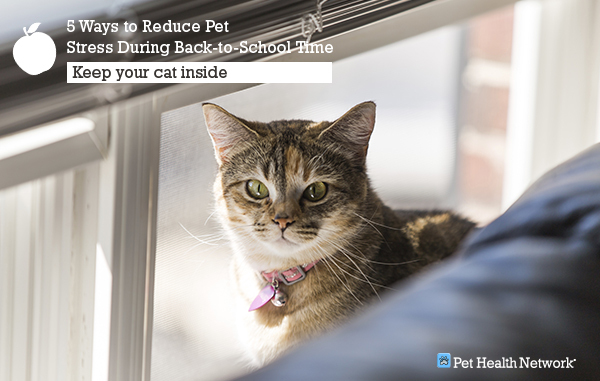 During the morning rush, it can sometimes be easy for your cat to slip quietly outside. It could be that you open the door, only to realize the kids’ lunch is still on the kitchen table; you go back to grab it and your crafty feline darts through the open door. Once outside, cats are prone to all sorts of trouble. They may run into traffic or decide to take a nap on a warm car engine. Know where your cat is in the morning, and click here for more reasons why your cat should stay indoors. It’s always a good idea to keep your dog on a leash, regardless of the time of year. However, as your mornings get to be more hectic and kids go back to school, it’s possible for this life-saving tip to slip your mind. The dangers presented by traffic are obvious, but what many pet parents don’t think of is how much time could be wasted dealing with a lost dog or one that was sprayed by a skunk! 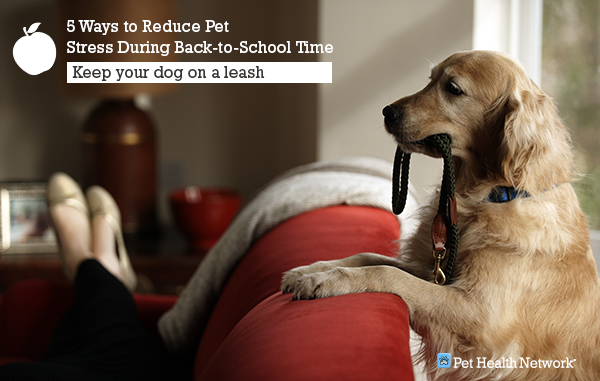 Click here to be sure that you’re using the right leash for your dog.